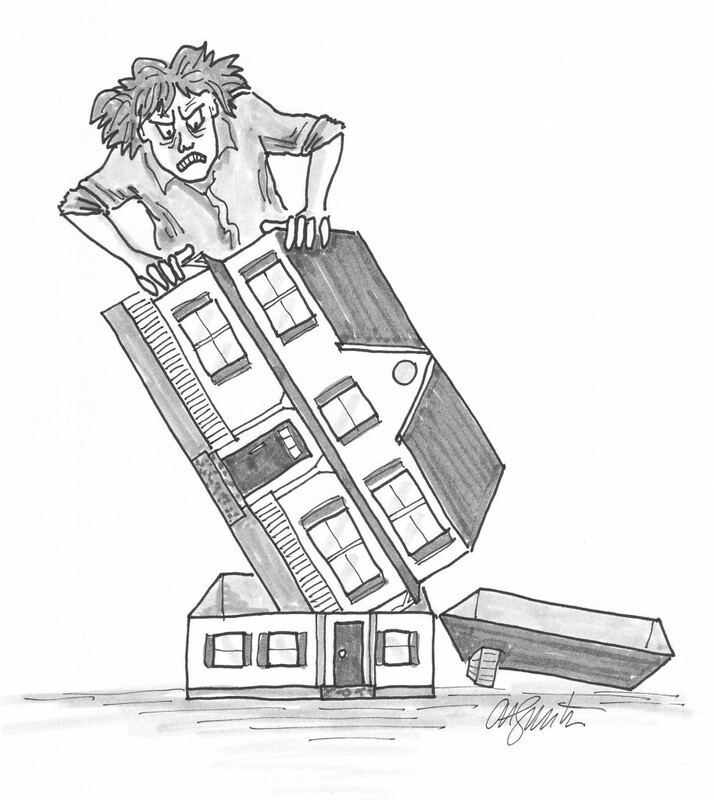 Downsizing — What’s it all about? Downsizing. The very word is a downer. It implies descent, drawing to a close, or an euphenism for losing a job. No wonder we’re resistant to downsizing – the word itself sounds like defeat. Better to use terms like right-sizing, scaling back, or de-accumulation. Think of the process as a way to bridge old and new, to create a connection to the past and frame decisions about the future. What you’re really doing is clearing space for the next phase of your life. This is the first of a five-part blog series on downsizing. For the purposes of this series, I’m describing a major reduction of possessions. However, the principles apply to any de-cluttering project. When we talk about downsizing, we usually think about empty-nesters – older adults moving out of the large family house to a smaller house or condo. We hear a lot about “boomer downsizing,” reflecting the aging demographics of the midcentury baby boom. But there are reasons other than advancing years to scale back. You may want to re-purpose a room into a studio or an attractive guest suite. You may want to simplify, live more sustainably and shrink your carbon footprint. It’s been said that we spend the first 40 years of our lives accumulating and the next 40 years trying to get rid of what we have. We outgrow things. We want to lighten the load. Our desire for material belongings wanes. Maintenance. Use the time you would spend maintaining a house and yard for social activities or hobbies. Change of circumstance. A new job, illness or death might necessitate a a move. Safety. Adult children worry that their aging parents are no longer safe in their homes. Kindness. De-accumulate now so you don’t burden your children or heirs later. Leave less for those dealing with your estate to cope with. Ask yourself honestly, “What do I need?” Possessions that seemed important earlier may no longer have meaning or utility in your life today. Can you function comfortably in less space? Sometimes we simply want to uncomplicate our lives. There is never a bad time for a healthy re-evaluation. This is wonderful advice, Cynthia. All of your reasons for simplifying ones life are valid and important ones. Less is definitely more and it improves your clients’ feng shui as well. The principle is to create space for new opportunities of all kinds to flow into your life. Let’s say for example that you’re single and live alone but want to find a romantic partner to share your life with. If your home is filled to the brim with your stuff, including the closets, drawers, etc then symbolically the message is that you don’t really have space in your life for someone to enter and share your home with. Thank you for writing such a great post! Thank you! I didn’t get into the feng shui of downsizing since that is a subject in and of itself and I’m not an expert. I love your perspective — a cluttered home impedes energy flow, which impedes the entry of new opportunities into your life.